New Quad slide rear lounge floor-plan from our popular Laredo lineup. This unit includes a King Size Bed, 32" Bedroom TV, Fireplace, Tri-Fold Sleeping Couch, 2 Recliners, Large 50" TV, Auto Leveling System, 18 Cu 4 Door Refrigerator, painted front cap, 2 AC's and much more.  2019 Keystone Laredo 342RD, Keystone RV Laredo fifth wheel model 342RD highlights:Large PantryRear Living RoomMaster ClosetThis rear entertainment layout Laredo fifth wheel by Keystone RV makes it easy to enjoy week long get-a-ways. This unit features four slide outs, sleeping for six, a king bed in the master, plus an 18 cu. ft. refrigerator in a spacious kitchen to enjoy! The living space is a great place to entertain or gather with family and friends. There are dual opposing slide out tri-fold sleeper sofas, and theater seating for two along the interior half wall. The outer rear wall features a full wall entertainment center with storage overhead and along each side, plus an optional fireplace can be added if you like, and so much more!Keystone RV is all about making everything Life Sized in these Laredo fifth wheels and travel trailer models. They are not about making things small to make them fit. You can count on things to be reliable like they would be at home. The construction has a powder-coated I-beam frame, EX lube axles, and a waterworks utility center. The interior has ventilation windows and stain resistant fabrics. There is an option to add a backup camera and a solar panel. These are just are a few things that Keystone thinks about when they are creating these units. Choose your model today! 2019 Keystone RV Laredo 342RD, Keystone Laredo fifth wheel 342RD highlights: King-Size Bed Master Closet Free Standing Dinette Two Sofa Sleepers Fireplace For the family who loves to entertain, this Laredo fifth wheel, with its large rear den, is perfect for gathering everyone together for a movie night. You will also find sleeping space on the dual tri-fold sofa sleepers. Just outside the living room is the kitchen where you can quickly grab a snack from the large pantry or 18 cubic foot refrigerator without missing a moment of the film, and if you prefer to play a board game with your guests, you can gather around the free standing table with chairs for a night of fun. The master suite includes everything you need for a relaxing time of rest, like a king-size bed, a 32" TV, a private bathroom entrance, and a master closet. You can even choose to add a washer and dryer option in the prepped area if you like. Take a step inside! When you need an RV that won't compromise on functionality, you need a Laredo by Keystone from the leaders of affordable luxury. 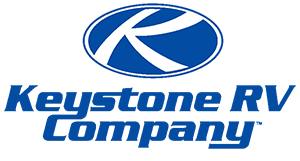 The amenities in your own home are life-sized, and Keystone believes that they should be that way in your camper too. From the kitchen's solid surface countertops and overhead cabinets, high-rise faucet with pull-out sprayer, and stain resistant fabrics to Keystone's exclusive KeyTV providing a multi-source signal control that improves signal quality and television operation, the industry's first 4G Lite and WiFi prep, plus the 50 AMP service, an aerodynamic painted front cap, and a fully enclosed underbelly, you will enjoy everything about the Laredo during any season of camping. Choose your favorite layout today! 2019 Keystone RV Laredo 342RD, Keystone Laredo fifth wheel 342RD highlights: Large Pantry King-Size Bed Master Closet Four Slides Full Bathroom For the family who loves to entertain, this Laredo fifth wheel, with its large rear living area, is perfect for gathering everyone together for a movie night. Just outside the living room is the kitchen where you can quickly grab a snack from the large pantry or 18 cubic foot refrigerator without missing a moment of the film, and if you prefer to play a board game with your guests, you can gather around the free-standing table with chairs for a night of fun. The private master suite includes everything you need for a relaxing time of rest, like the king-size bed, 32" TV, private bathroom entrance, and master closet. When you need an RV that won't compromise on functionality, you need an RV from the leaders of affordable luxury: a Keystone Laredo. The amenities in your own home are life sized, and Keystone believes that they should be that way in your camper too. Once you experience the "Life Sized" camping style, nothing else will compare. From the residential-size shower and high-rise faucet with pull-out sprayer to the 50 AMP service and 15,000 BTU air conditioner, everything you love about your own home has been included in the Laredo. 2019 Keystone RV Laredo 342RD, Keystone Laredo fifth wheel 342RD highlights: King-Size Bed Master Closet Free Standing Dinette Two Sofa Sleepers Fireplace For the family who loves to entertain, this Laredo fifth wheel, with its large rear den, is perfect for gathering everyone together for a movie night. You will also find sleeping space on the dual tri-fold sofa sleepers. Just outside the living room is the kitchen where you can quickly grab a snack from the large pantry or 18 cubic foot refrigerator without missing a moment of the film, and if you prefer to play a board game with your guests, you can gather around the free standing table with chairs for a night of fun. The master suite includes everything you need for a relaxing time of rest, like a king-size bed, a 32" TV, a private bathroom entrance, and a master closet. You can even choose to add a washer and dryer option in the prepped area if you like. Take a step inside! When you need an RV that won't compromise on functionality, you need a Laredo by Keystone from the leaders of affordable luxury. The amenities in your own home are life-sized, and Keystone believes that they should be that way in your camper too. From the kitchen's solid surface countertops and overhead cabinets, high-rise faucet with pull-out sprayer, and stain resistant fabrics to Keystone's exclusive KeyTV providing a multi-source signal control that improves signal quality and television operation, the industry's first 4G Lite and WiFi prep, plus the 50 AMP service, an aerodynamic painted front cap, and a fully enclosed underbelly, you will enjoy everything about the Laredo during any season of camping. Choose your favorite layout today! Modern Trailer Sales offers one of the largest selections of Laredo campers in the State of Indiana. Visit our dealership in Anderson, IN today.